DAVID LE/Staff photo. 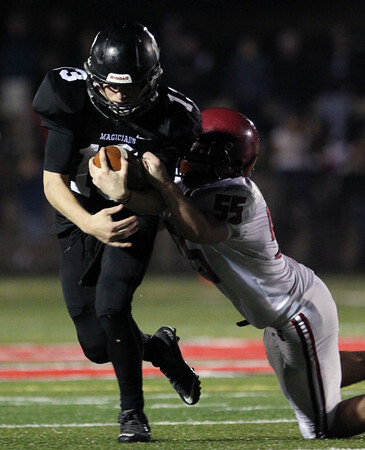 Marblehead senior quarterback Garret Keough (13) powers through a tackle from Gloucester senior linebacker Thomas Donahue (55). 11/6/15.